Grey Audi, manufactured in 2017, first registered on 1 June 2017. Cylinder capacity: 1984cc, CO2 emissions: 153 g/km. 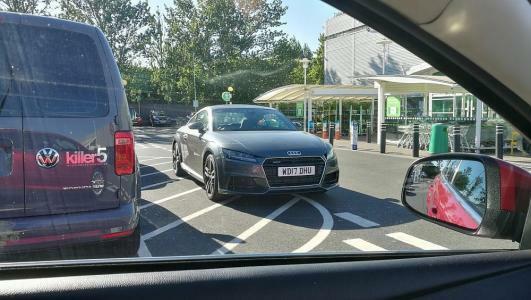 I do get the point, that world is filled with lazy idiots, and this is why I have another example of a disabled (mentally) person which just couldn't park in a parking space, but left a car as close to the entrance as possible.